"My wife and I were first time home buyers when we were fortunate enough to meet Bettina. Right away we felt that she was fighting for us. She spent a great deal of time (evenings, weekends) finding us a place we were happy with. Our relationship didn't end with the purchase. Bettina was great at follow-up, taking the time to make sure everything about the home was as-advertised and to our satisfaction. It was great to have Bettina as part of our home-purchase team." "Buying a home can be both exciting and challenging at the same time. Bettina did a wonderful job for me and my family and she made it seem simple and effortless! She is very knowledgeable and was patient with me which is very important. When it is time to sell or buy a second property, I will not hesitate to call Bettina because I know that we are well taken care of!" "We would like to thank Bettina so much for her hard work, sensitivity, amd professionalism. We appreciated her integrity and efficiency throughout the entire process. We completely trusted her and we don't take that for granted"
"We would like to thank Bettina for her patience and help in the selling and buying process. She was professional, courteous and maintained an optimistic attitude throughout the whole process, despite the slow market. Bettina was always there to answer our questions and communicated openly and clearly with us. We most certainly would not hesitate to recommend Bettina to any of our closest friends and family. Thanks again for all of your hard work!" "It was a pleasure using Bettina's services to sell our townhouse in South Surrey. Her professionalism, upbeat attitude, and continued efforts to market and sell our unit were greatly appreciated. She gave us good advice on preparing our house prior to putting it on the market. Our home was shown to its best advantage on MLS and on her web site, and her efforts resulted in a large number of public showings, and real estate agent tours, ensuring a lot of exposure for the house. The professional photographer she hired really made a difference and the online 3d tour on her web site really showed off the unit. Despite selling in the slow months of fall and winter, which always takes longer, she never gave up and her efforts encouraged us that it would sell soon. We received a price we were happy with and the buyer got good value for the property they purchased. 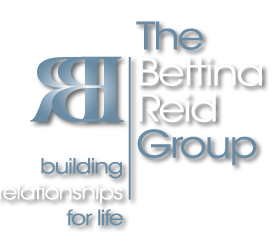 We can very positively recommend Bettina Reid, to anyone wishing to buy or sell a home. We have to mention, now that we have relocated to a different province-the professionalism with caring that she exhibited as a real estate agent is not as common as we would like to think!" "I recently bought a home and Bettina was my realtor. Although buying your first home can be stressful and a daunting experience especially because I did not understand the law and everything else that went with buying a home. However, Bettina walked me through the process in an efficient and easy to understand manner. She also listened to my needs and made sure that I got what I wanted. I would highly recommend her to anyone who wanted to buy or sell a home." "Our experience with Bettina was completely satisfying. From the start, Bettina provided us with expert advice on the timing and preparation of our home for the market. She helped us set realistic expectations, and we were impressed by her modern methods for displaying our home on the web. Bettina is always professional, on time and easy to reach. We would highly recommend her services to anyone." "Thank you, from both Brenna and I for all you have done for us, it will not be forgotten and does not go unnoticed or unappreciated"
"Bettina thanks for the good work you provided us finding our home and the time, effort and driving around you put in at any time of the day almost. It was a real pleasure to meet you." "You are a Super Realtor"
" Bettina was a great help to us in our search for a house. She's a hard-working, knowledgeable, personable realtor, and we were happy to have her on our side." "Selling a home when the market is extremely slow can be so stressful! Thanks to Bettina Reid of HomeLife Benchmark Realty Cloverdale the whole process was handled in an efficient and timely manner. Bettina spent many hours setting up appointments, scheduling visits, advertising, and all the other details that we, as the client, do not know about. Needless to say she delayed lunches and dinners by putting us first on more than one occasion. Bettina's uplifting and positive attitude was not un-noticed by us and before long we could see that she was excited about the whole process of listing and selling. When she made the phone call to us to say she had the offer to purchase we were looking for, you could hear the excitement in her voice... that this was not just a job to her. It was all about helping people to move forward in their lives. Should we ever need help again, Bettina please expect to hear from us. We thank you Bettina for helping us move on and wish you well"